Delicious, seasonal and healthy. Packed in 2’s, 8’s and 25’s. 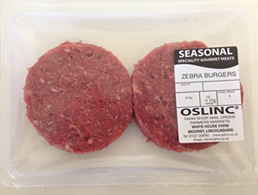 A gourmet burger with a delicious, subtle flavour, low in fat too.